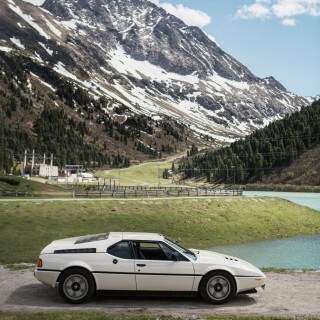 There still exists a healthy contingent—if a bit of an arthritic one—of car enthusiasts who stubbornly refuse to consider anything built post-war as worthy of the “classic” label. Radial tires and lap belts and a few extra carburetors are just too technologically advanced to gain entry into that club, apparently. The great thing about attitudes fixated on nebulous definitions like a car’s classic-ness, though, is that they really don’t matter. Unless you’re the type to get riled up on internet forums, it’s no harm no foul. We’re free to draw our personal lines wherever we’d like when it comes to chopping up and segmenting the vast world of cars into digestible subspecies. 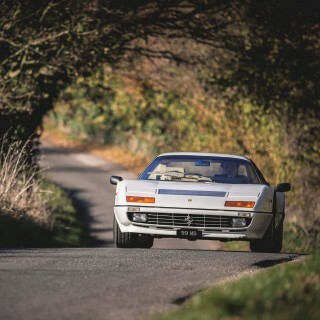 Some folks may not agree with your categorization, but there’s no universal criteria that tells us when a new car becomes a used car becomes a vintage car becomes an antiquity—so who’s to say that a 21st century supercar doesn’t deserve a complete overhauling from its manufacturer? That’s what you’re looking at here: a 2005 Carrera GT that a US collector sent to Porsche Classic to have every nut and bolt and carbon fiber weave examined and brought back to OE-spec. In the process of being torn down to its singular components, the car also underwent a color change to Oak Green Metallic, had some silver—real silver—added to the edges of the five-spoke magnesium wheels, as well as a reimagining of the interior scheme to complement the aesthetic update. 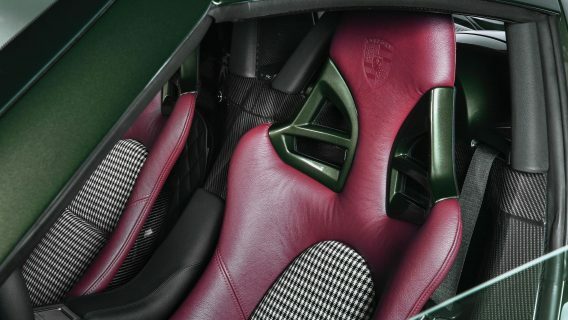 It should go without saying that the owner didn’t send his supercar to Germany for a color-change, so in addition to the new finishes, the brunt of the work carried out involved a full drivetrain overhaul, as well as a refinishing of every piece of carbon fiber in or on the car, including the monocoque itself. 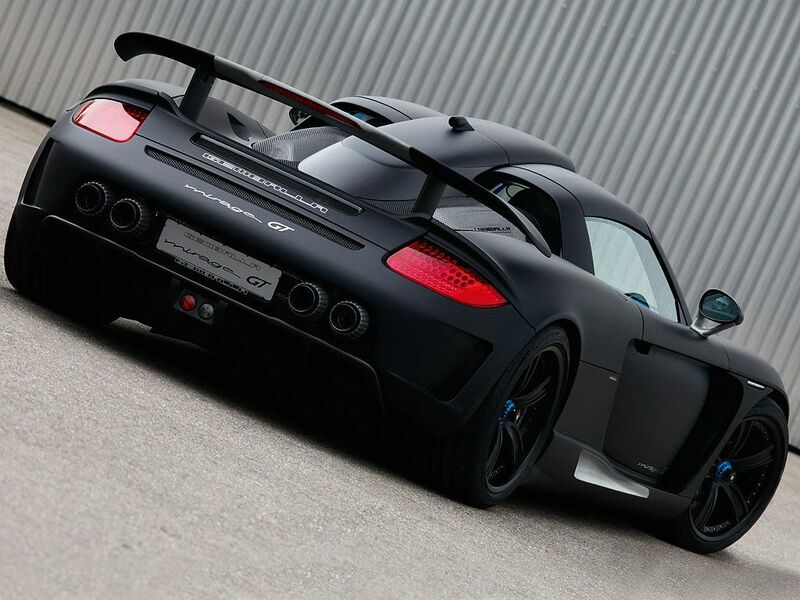 Porsche estimates that sanding down and reapplying the coatings on the carbon parts took 350 hours alone. One assumes that Porsche doesn’t charge by the hour for this type of work, but still. Sheesh. The 5.7L V10 is good as new again, the chassis is as fresh as it was some 15-odd years ago, and the optical makeover is a perfect complement to the mechanical side. 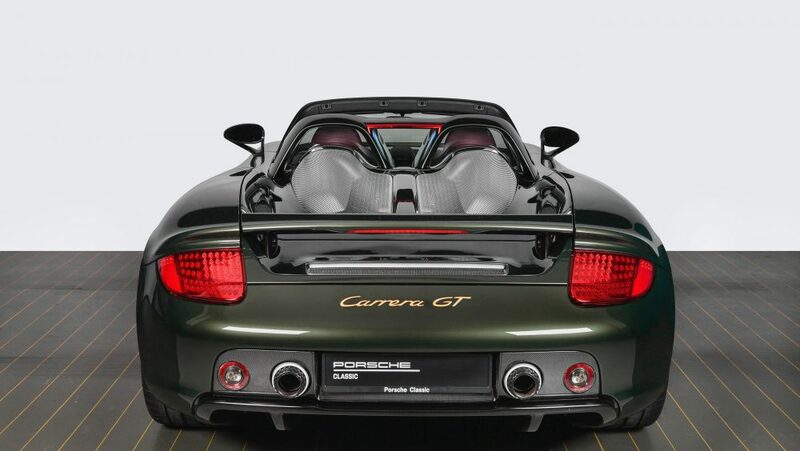 Oak Green Metallic was never available for the Carrera GT in period (around 1,270 examples of Porsche’s first supercar since the 959 were produced between 2003-2007), but it was a factory color option for the second-generation 911, and the handsome shade doesn’t look at all dated or out of its element wrapping the curved haunches of the CGT. 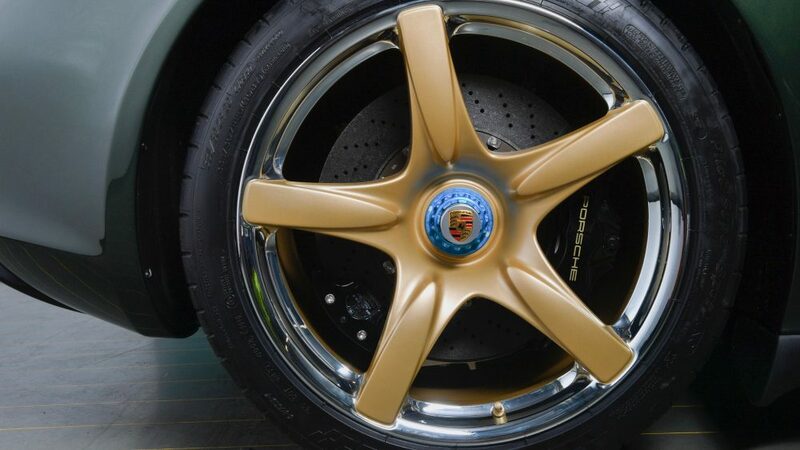 Continuing the theme, the OEM wheels were redone with gold spokes and a plan to polish the outer lip, aping the iconic look of gold BBS Motorsport wheels. Porsche engineers cautioned against polishing the wheels at all though, saying that the lightweight, magnesium construction could be weakened in the process of whittling away even the thinnest layer. Personally I find that a little hard to believe, but what the hell do I know about the structural makeup of Carrera GT wheels that a specialist employed by Porsche wouldn’t? Their solution involved a layer of silver being laid down on the lips that was then clear-coated to protect it from the tarnishing while mimicking the polished look. 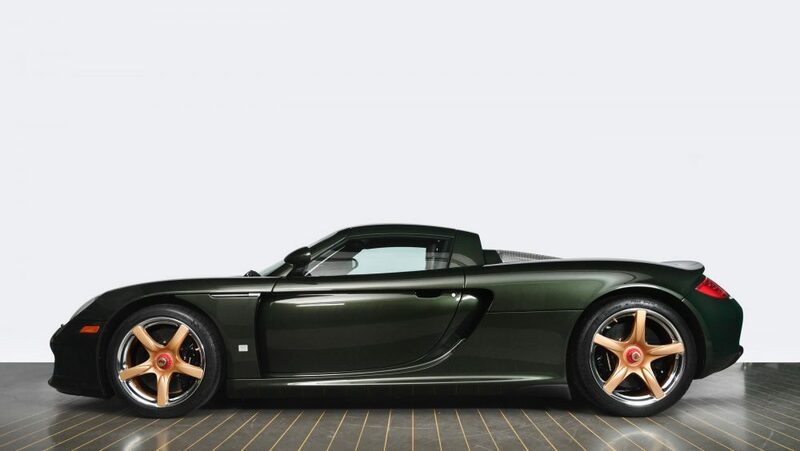 It sure is a striking update to the Carrera GT’s wheels, and though repainted stock rollers always conjure up images of black spray-painted hubcaps, you can’t say these look like a low-end job. Along with the script on the brake calipers, the interior carries some matching gold accents alongside the recovered ox-blood leather seats and houndstooth inserts. It’s tastefully done though, subtle. 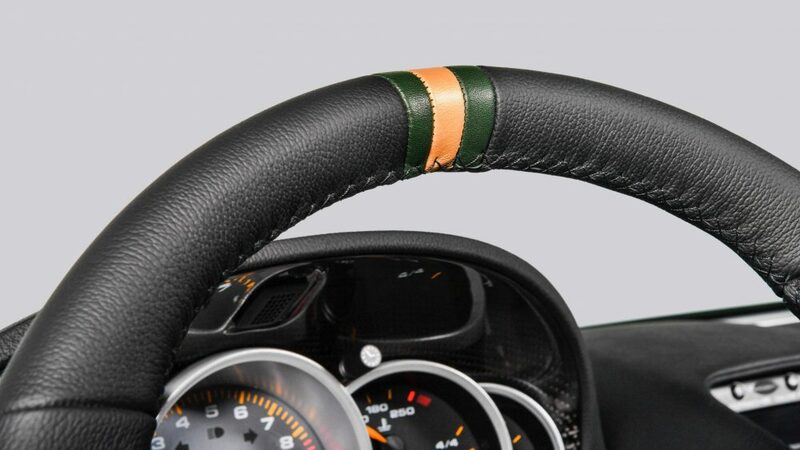 A few stripes around the 12 0’clock notch on the steering wheel, not some mess of multi-colored piping and too many things covered in suede. 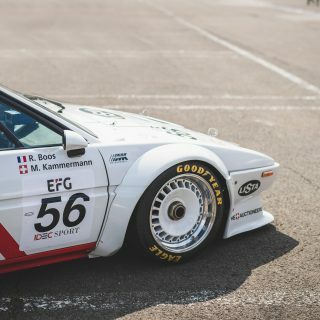 Sometimes applying a retro scheme to a modern car can result in something that looks a bit too contrived and poorly-adapted, but here it looks natural and correct for the car. The recommissioned, as Porsche calls it, Carrera GT was shown at the Porsche Experience Center in Atlanta before making its way back to its owner where it will join the rest the collection. 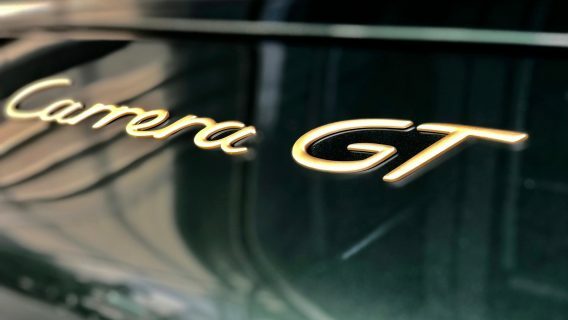 It will interesting to see what happens to the prices of Carrera GTs in general as the early-2000 cars go through their renaissance period in the near future, and surely an example like this will stand out amongst the perfectly-preserved stock examples, for no other reason than Porsche Classic carried out the restoration. What do you think? The only thing I don’t like is the silver trim on the wheels. If they were all gold I’d like it a lot more. At the end of the day though this was not refinished for me or you, it was for the owners. And if they like then that’s all that matters! 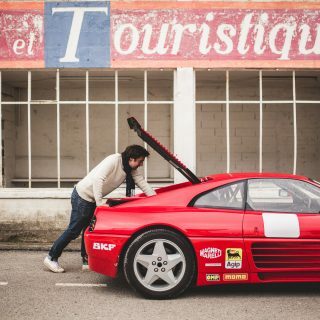 This still remains probably my all time favorite supercar so it’s always great to see it receive the attention it deserves! The only way this colour scheme makes any sense is if the car belongs to Roger Federer. Green and purple for the Wimbledon colours, Gold for all his winners’ trophies and silver for the runner up trophy…. thinking about it he shouldn’t have bothered with the Silver…. Just saw this car in person, and unfortunately the seat color doesn’t come across well in photos, it’s much closer to brown, which, in person looks good. Whether you agree with the redo, the quality of the work is amazing. The details are very impressive, clearly magnificent workmanship. The green and gold are ok but the PURPLE ? ! FFS. A great piece of machinery, unfortunately wearing clown shoes. That owner has cubic money and no taste. That is the ugliest car I think ever to grace your pages! The gold wheels, that interior (!) and even the color just don’t work at all! I would have to politely disagree. I had a chance to look at it while it was here in Atlanta at the Porsche Experience Center, in person it is stunning. Agree, a great piece of machinery, unfortunately wearing clown shoes! Just incredible. Financially he/she could end up even but I think this owner had a bigger picture in mind. I can appreciate when the goal is to “the best or nothing” approach to restoration. 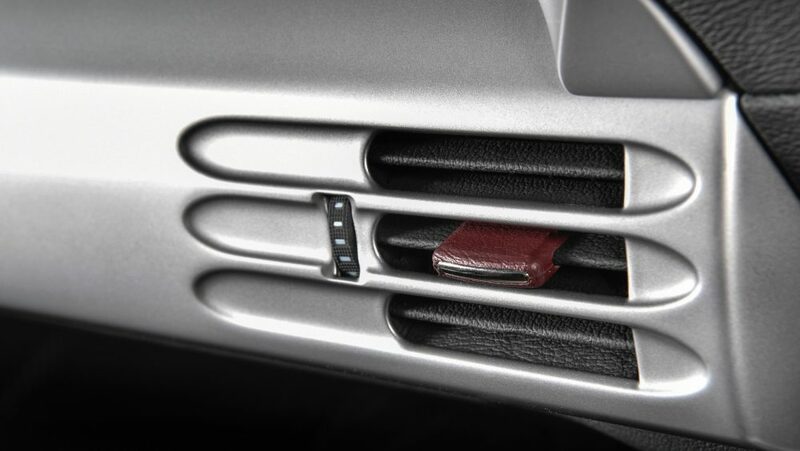 In the end of the day the owner knows that he/she has absolutely spotless car mechanically and esthetically.